Do you love cheese, meat, and chocolate? Well, you will love The Melting Pot restaurant. It was my best friend’s birthday and neither one of us had ever been to a fondue restaurant so we decided to try The Melting Pot in Larkspur. Right when we walked in we were immediately pleased with the ambiance. I don’t want to spoil the surprise if you decide to visit, but it’s VERY romantic. I loved when they seated us they gave my best friend a card. The waitress said, “I heard it’s your birthday and this is from us!” I thought that was a great touch to make my best friend feel important for her birthday. The food was AMAZING!! The waitress was super helpful. Although you could kind of tell she had memorized the script verbatim. We could hear the verbatim speech with all of the waitresses, not just her. Maybe because I studied drama in college that I was a little more sensitive to it and wished they all would have sounded more natural when giving their speech on how to fondue. But she was very friendly, attentive to our needs, and never interfered with our conversation. Speaking of conversation, one thing my best friend like to do when we go out is eat, visit, and talk for hours! 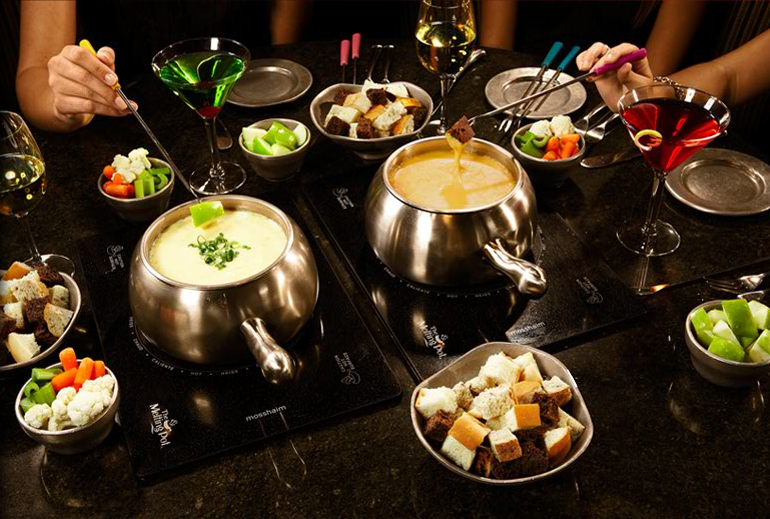 This fondue experience was perfect for taking our time to talk because it takes a while to get through you meal. Most restaurants rush you to turn the tables over. Even though I have never eaten so much cheese in my life, I highly recommend The Melting Pot. It’s a fun experience, the ambiance was beautiful, and the customer service was excellent! Thank you Melting Pot !